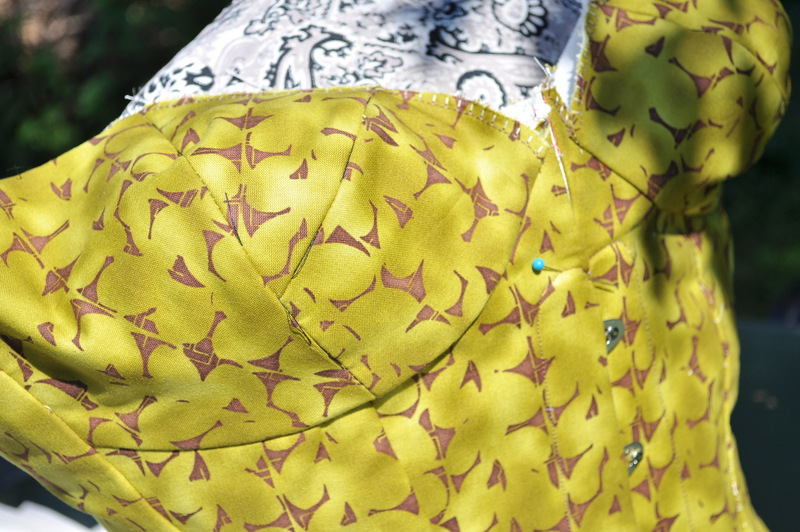 Team Sewing – Would I Wear it in Paris? 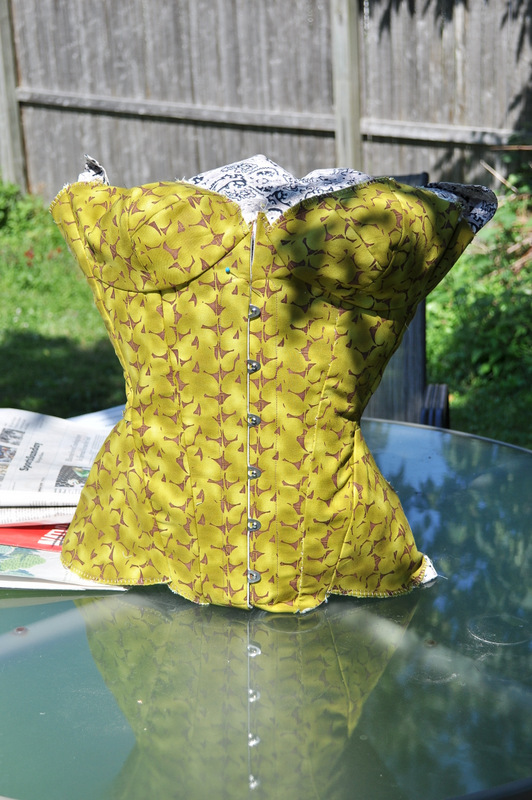 My awesome friend, Jan, came to visit on July 4th weekend and she brought her sewing project–a really cool green and brown corset with abstract leaves. She was only with us about 28 hours or so, and we did a ton of other things; went to a cookout, took a bike ride, had some nice drinky drinks out on the town, and a field trip to the dread Joann’s–but we got a couple good chunks of time in the craft room. What a treat it was to have a sewing buddy for a couple of days! 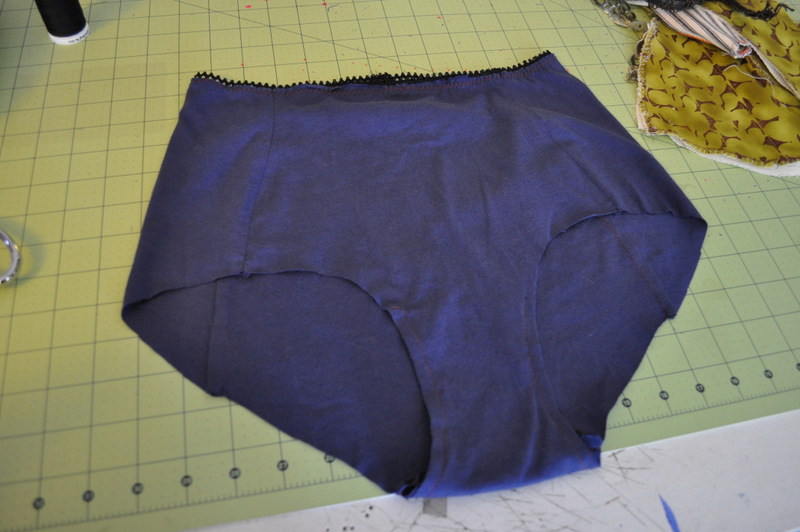 I made another pair of underwear from my Betty pattern. They look nice in the picture but they didn’t come out of the wash so great. 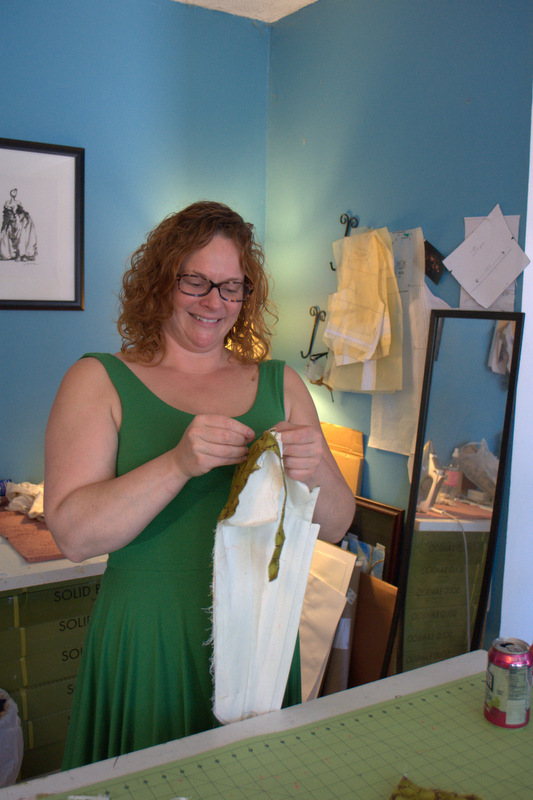 And I was able to finish the last toile for my fitting pattern (what a freaken nightmare that thing is being!) 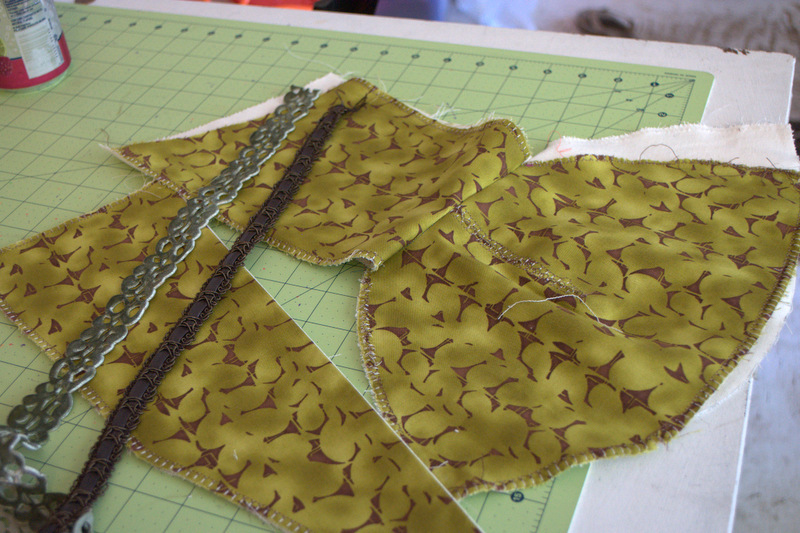 and also altered a toile for a slip I want to make and made the changes on the pattern. But really, the most interesting thing was the corset. It was a kind of Victorian-lady-gone-naughty-but-still-a-little-innocent. I don’t really know what I’m talking about, but the shape is mostly Victorian with hip pieces, and cups which is more modern. She drafted the pattern herself for the most part and used a bra pattern for the cups. Once the pieces were all together we got it on her sorta. 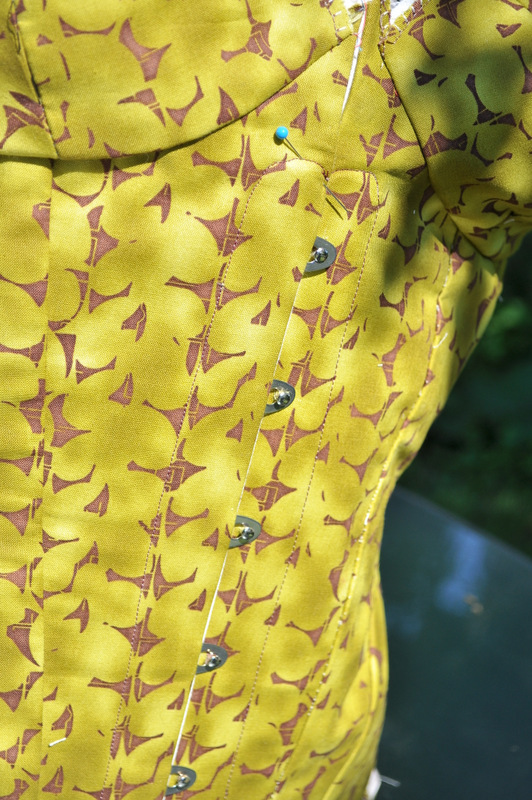 We couldn’t really close it because the lacing holes and grommets weren’t on yet, but it’s going to look great. We did get it on a feather pillow–with some old socks placed strategically to pad it out just so–to see how it was shaping up. That reflection on the table is kinda cool! I can’t wait to see the finished corset!